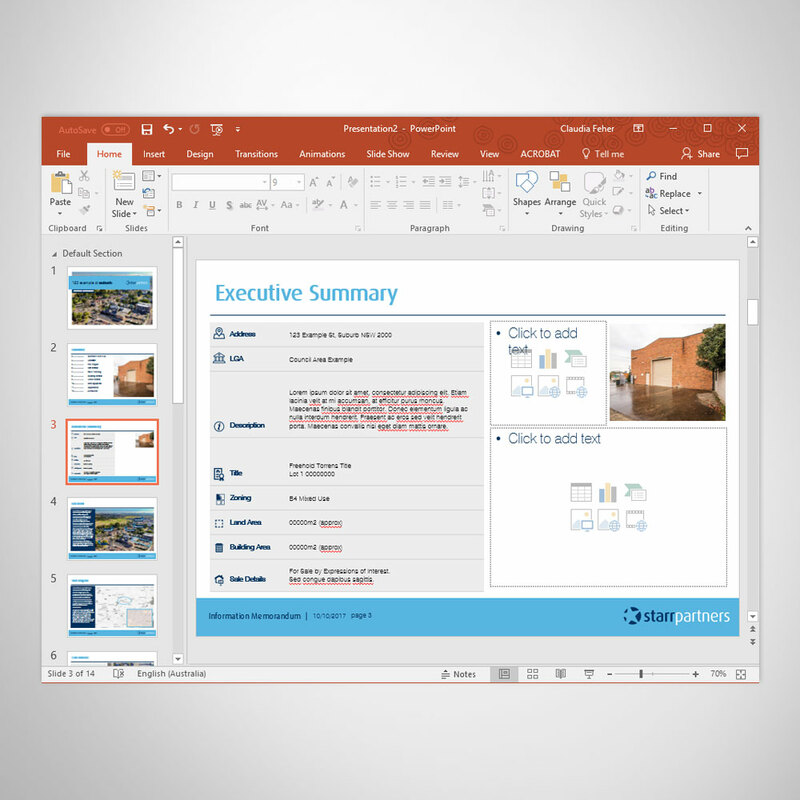 Yolk Marketing was asked to produce an easy to edit professionally design information memorandum document template in Microsoft PowerPoint. 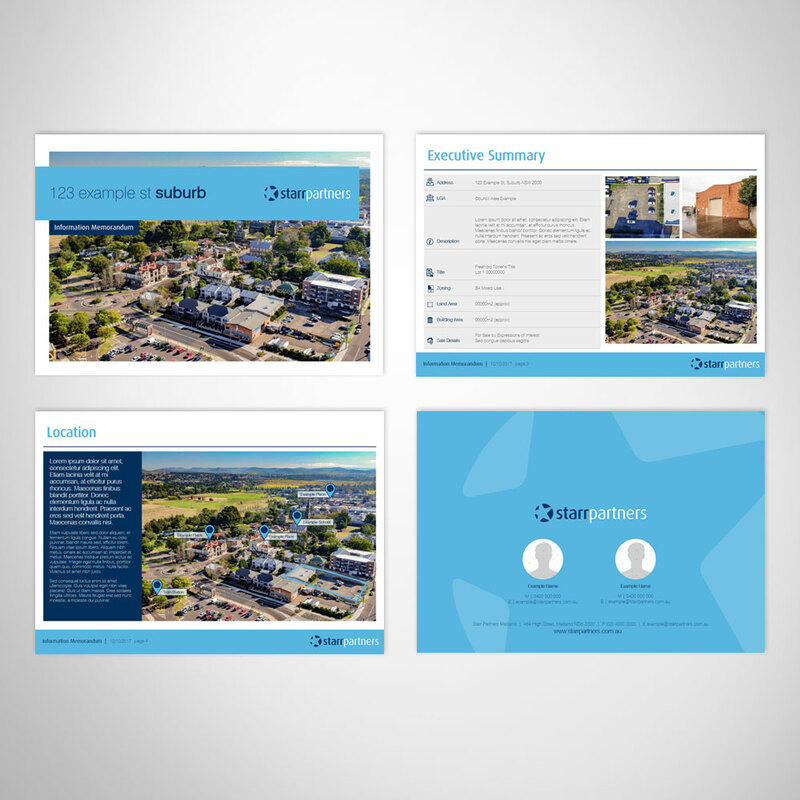 Produce an easy to use Microsoft PowerPoint template to mimic a professionally designed A4 landscape brochure. The document would be provided to clients as a source of information regarding properties for sale. The document needed to convey key information and statistics in an easy to consume format. The template would be filled out by property agents at the business, so it was a key requirement that it be easy to edit and publish in house by the client.